Johns : You said there was no need to gather with Russia, but there have been so many charges and contacts with the Russians. How do you balance it? Sanders : It's really simple for me. The president far away was the better candidate. He had a better message and he drafted Hillary Clinton. That's why he's president. He also didn't need to gather with the Russians. It's pretty simple. Wait a moment. It makes no sense. None. And I will explain why. Let's start with what we know. We know it was the unanimous conclusion of the intelligence community that Russia was trying to interfere in the election to help Trump and hurt Hillary Clinton, believing in billionaire businessman was better for them. 1; former national security adviser Michael Flynn, former foreign policy adviser George Papadopoulos, formerly Trump lawyer Michael Cohen – all have allegedly guilty of making a false statement to either congress or federal investigators ( or both) about the nature and breadth of their contacts with the Russians during the campaign. We know that former Trump political adviser Roger Stone has been allowed to lie to the congress on his knowledge of and connections with WikiLeaks, the website serving as a clearing house for emails, stealing the Russians from the servers of the democratic national committees and the Clinton campaign chair man John Podesta. We know that many of the contacts between Trump associate and the Russians date back to the spring of 2016 (at least), which is when Papadopoulos brought to an Australian diplomat that he knew that Russia had dirt on Clinton started it who have come to be special councilor Robert Mueller probe. We know that in June 2016, three of the top officials of Trump's campaign – Donald Trump Jr., Jared Kushner and Paul Manafort – Russians, met a meeting top Trump Brass took on the promise of "dirt" on Clinton. We know that Manafort, the campaign president at that time, shared voting information with a Russian with known ties to Russia's intelligence operation. Sarah Sanders wanted you to believe that all these facts are immaterial, because Donald Trump was a better candidate than Hillary Clinton. What is it, what? The error in the heart of Sander's "simple" explanation is that she suggests that Trump's ability as a candidate and the possibility that members of his campaign gather with the Russians exclude each other. That you should choose an option or the other: Either Trump was a major candidate (and therefore did not need to gather to win) or his side coincided. Nothing in between. Of course it's ridiculous. It is quite possible that Trump won on his own advantages as a candidate (and Clinton's lack as a candidate) and members of his campaign collaborated with the Russians to try to improve his chances. It is the same principle that makes Trump's repeated claims that he did not need the Russians to interfere in the election because he was a better candidate. Both things can be true! None of that is to say we have any evidence that Trump himself collided with the Russians. We don't. But being a good candidate is largely unimportant in whether there was an interaction between his side and the Russians. Will any member of his circle know back in the summer of 2016 that his good candidate would make sure he won the White House? No chance – especially because all available metrics (polling, fundraising, message discipline, swing state organization) suggested he would probably lose and potentially lose big. And although one of Trump's allies believed that he was the better candidate and would bear the story of winning, it is not at all removed to believe that they might have seen some coordination with the Russians as just another way to help the effort together. Why leave ammunition unkempt, right? Again – and that is important – there is no concrete evidence of the interaction between the Trump campaign and the Russians. Maybe Mueller's report will find some. Maybe it won't. 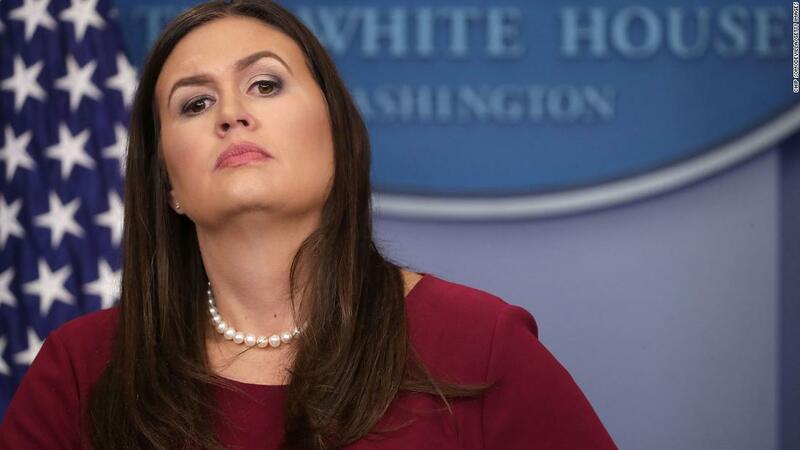 But on the one hand, the fact that Donald Trump was, in Sarah Sanders' mind, the overall candidate in the 2016 election, which hardly has any bearing on the issue of conversation. Like no one.